Sapphire from Vietnam, has recently found new deposits of sapphires as well as rubies and recent production has increased over recent years. The gemological properties and new finds of these sapphires as well as rubies, sapphire Large volumes of blue, green, and yellow sapphire come from the Central Highlands provinces of Dak Lak and Lam Dong, as well as the southern provinces of Dong Nai and Binh Thuan. 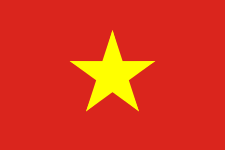 Although Vietnam was known for its gems during the French colonial period, it was not until the late 1980s & 90s, when deposits of fine rubies and sapphire were found in the Luc Yen district, mining began quickly over these years with the majority of the rough sapphires ( Corundum ) being mined and sold over the borders to Thailand ( The worlds largest seller of colored gem stones today ). The discovery of fine gemstone material at Luc Yen was followed as well as similar discoveries elsewhere in the country, and the rush to mine these precious gemstones started. 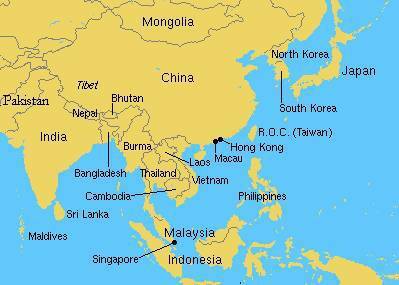 As you can see by the map Vietnam sits in the middle of some of the finest deposits of both sapphires and rubies to be found anywhere in the world today, sapphire Ring company will continue to watch the production of sapphires and rubies from Vietnam but with the vast majority of the rough going straight into Thailand - it is difficult to see the quality of the stones coming directly out of this country. Unfortunately, the new enthusiasm for Vietnamese gems carried with it unsavory practices such as illegal mining, smuggling, and corruption. Although the Vietnamese government tried to promote rules and regulations, poor management and politics frustrated attempts at mechanized mining, and by 2000, activity throughout the country had declined significantly. Today, the country is recovering some of its momentum, but most of the mining is done by small-scale, independent operators. 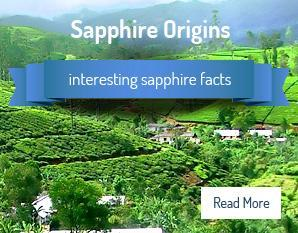 Nevertheless, the sapphire deposits of Vietnam are thought to hold considerable future promise. Map shows some of the biggest sapphire producing countries in the world including Sri Lanka,Thailand,Madagascar & Vietnam.